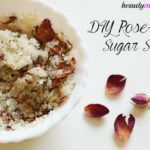 Skin Whitening Body Scrub - beautymunsta - free natural beauty hacks and more! Hey guys! 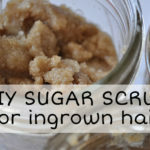 Scrub away with this DIY skin whitening body scrub to fade unwanted tans and improve your complexion! Have you got an unwanted tan? Or do you want to brighten and lighten your complexion? Then you’ve landed on the right page because I’m going to share an easy recipe for a skin whitening body scrub! 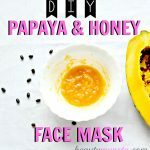 The best part is it uses effective skin lightening ingredients that work beautifully for fast results! Fine white sugar – has an exfoliating effect that lifts off dead cells, revealing fresh brighter lighter skin underneath! Raw honey – is known to lighten skin when used consistently. Jojoba oil – helps heal post inflammatory hyperpigmentation and balances skin to prevent it from producing excess sebum that causes breakouts and therefore, acne marks. It also moisturizes skin nicely. Lemon juice – is a natural bleaching agent that contains citric acid that dissolves dead skin and the dark outer layer of skin. Dried parsley – has skin lightening effects. Helps reduce blemishes, age spots and dark spots. Orange peel powder – whitens, lightens and brightens skin when used. It has been used as a skin lightening secret in India for ages. Lemon essential oil – is got from lemon peels which are known skin whiteners. It so shows good skin lightening and brightening effects. Okay, onto the skin whitening body scrub recipe! Note: It is best used at night time. This is because it contains photo-sensitive ingredients like lemon which make your skin sensitive when you go out in the sun. 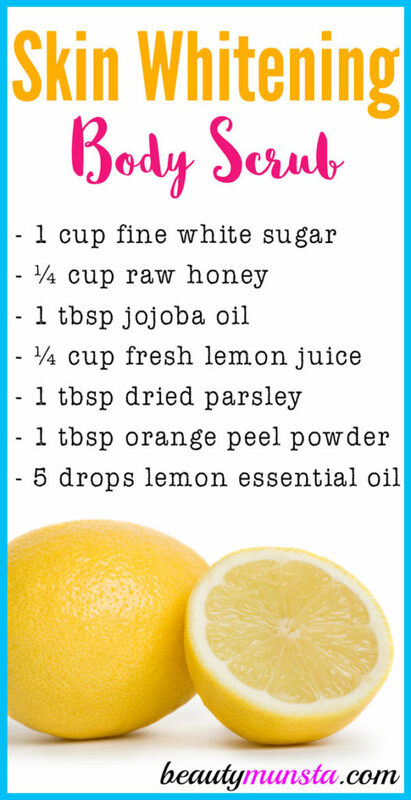 Into a bowl, add 1 cup of fine white sugar followed by ¼ cup raw honey, 1 tbsp jojoba oil and ¼ cup freshly squeezed lemon juice. Now whisk together to form a slightly gritty paste. Add 1 tbsp each of dried parsley and orange peel powder. Lastly, add 5 drops of lemon essential oil. Whisk again to combine everything evenly. Carefully transfer the mixture into a plastic jar. Your skin whitening body scrub is ready! 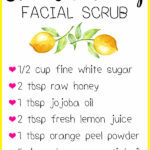 When you’re going to use this scrub, place about 1-3 tbsp of it into a bowl and take the bowl to the shower with you. After wetting your body, get a suitable amount in your hand and start scrubbing it on your body or affected area like tan lines. Scrub for 2 minutes. Rinse off and soap up your body as usual! 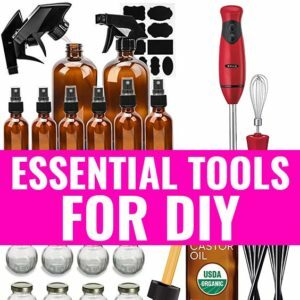 Use every day in the shower but if you have sensitive skin, you can try using it every other day. 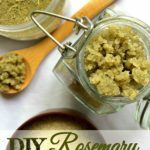 Please go ahead and try this skin whitening body scrub recipe and come share your thoughts on it!